PUBG Mobile is the hottest property in the world of mobile gaming right now and with good reason. One of those reasons is the developers’ constant updates, something that ensures not only does the game not suffer from the potential to go stale for those who play it, but also that any bugs can be squashed and any kinks ironed out on a fairly regular basis. 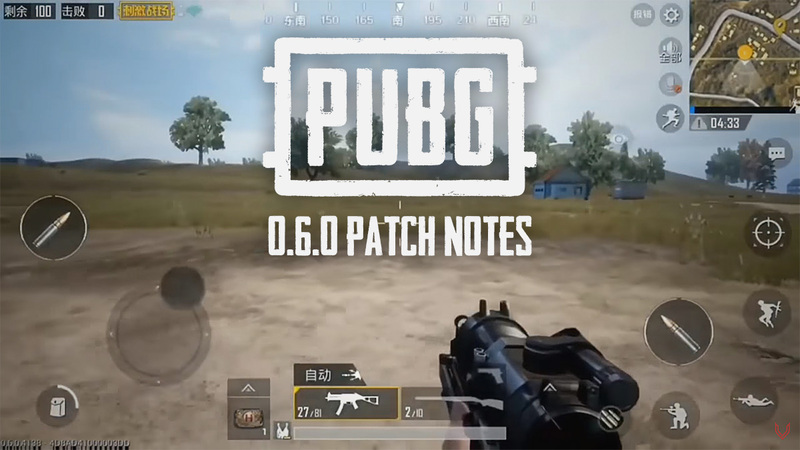 The next big release to come to PUBG will likely be version 0.6.0, a version that we mentioned a couple of days ago after a video was released online showing the game’s crowning feature – a first-person mode. That version is currently going through the beta testing phase in China ahead of a public release in the country. That all needs to happen before the update goes live around the world, but we already have the release notes for the update and there’s plenty to chew through. Without doubt, the big deal here is that first-person mode, which changes the whole feel of the game. We covered this a couple of days ago, but it’s well worth checking the video out again because it really does alter the game dramatically. If you wanted a Counter Strike vibe, then this update is for you. The complete list of major known changes is as follows. As we mentioned, 0.6.0 is currently in Chinese beta and will be released in China first before a global roll-out if history is any indication. The smart money suggests that this won’t happen before June, but until then, there’s no reason not to enjoy what we already have. Who’s up for a game of PUBG Mobile?